On 2 April 2018, an in-depth commentary on practical actions that can help increase access to HCV direct-action antivirals (DAAs) was published in a special issue of the Journal of the International AIDS Society (JIAS). 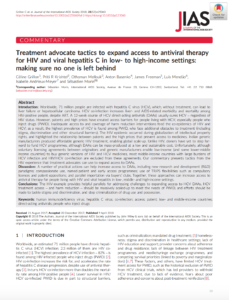 The article – titled Treatment advocate tactics to expand access to antiviral therapy for HIV and viral hepatitis C in low- to high-income settings: making sure no one is left behind – was written by a group of advocates from Medecins du Monde, Initiative for Access, Medicines and Knowledge (I-MAK), the International Treatment Preparedness Coalition (ITPC), Alliance for Public Health, FixHepC, European AIDS Treatment Group, Drugs for Neglected Diseases initiative (DNDi), and the International AIDS Society. The article presents actions from the HIV experience that treatment advocates can use to expand access to DAAs, including new research and development (R&D) paradigms; compassionate use, named-patient and early access programmes; use of TRIPS flexibilities such as compulsory licenses and patent oppositions; and parallel importation via buyers’ clubs. The article demonstrates how these approaches can increase access to antiviral therapy for people living with HIV and viral hepatitis in low-, middle- and high-income settings. ITPC looks forward to continuing to make contributions to this body of work. Download the full article for free (PDF, English). 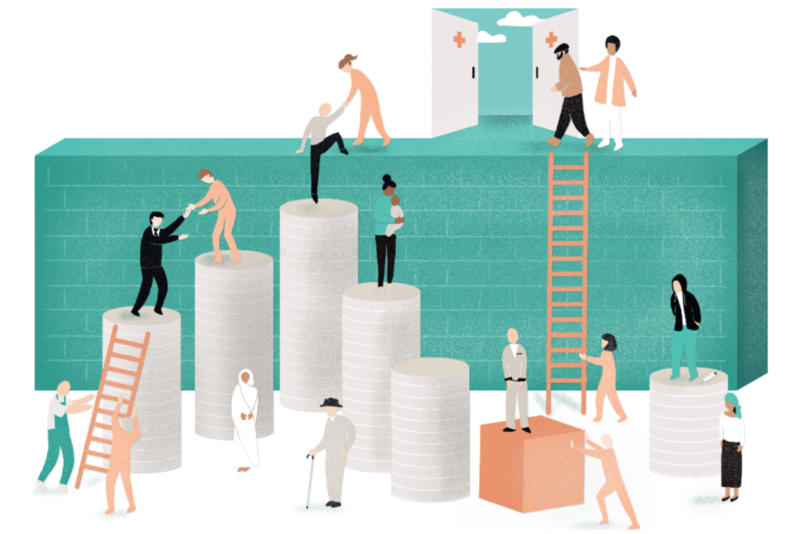 Learn more about ITPC’s work on increasing treatment access around the world.